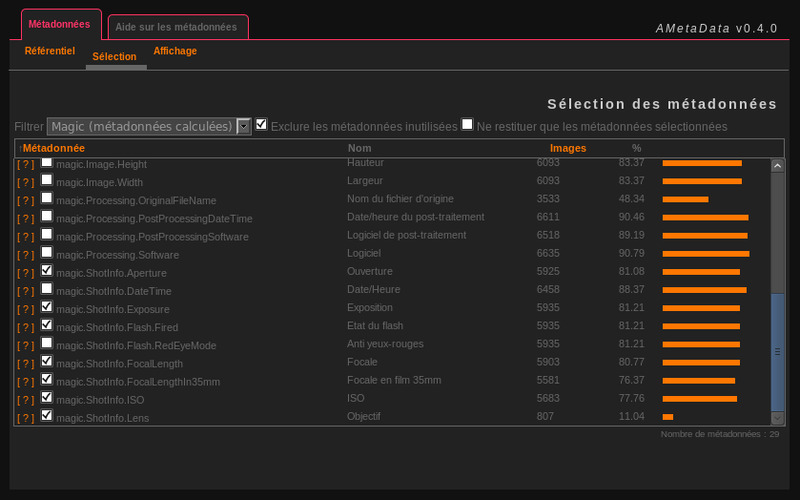 About: 'Advanced Metadata' plugin allows use of Exif, IPTC and XMP metadata from Jpeg photos. - Recognizes about 550 metadata. - Requires that 'GrumPluginClasses 3.5.2' plugin be previously installed. * The plugin will be considered fully functional with version 1.0. Intermediate versions (though incomplete) are still functional.